Very clean, lots of space, comfortable beds, good towels, excellent cleaning service. Friendly people and staff. 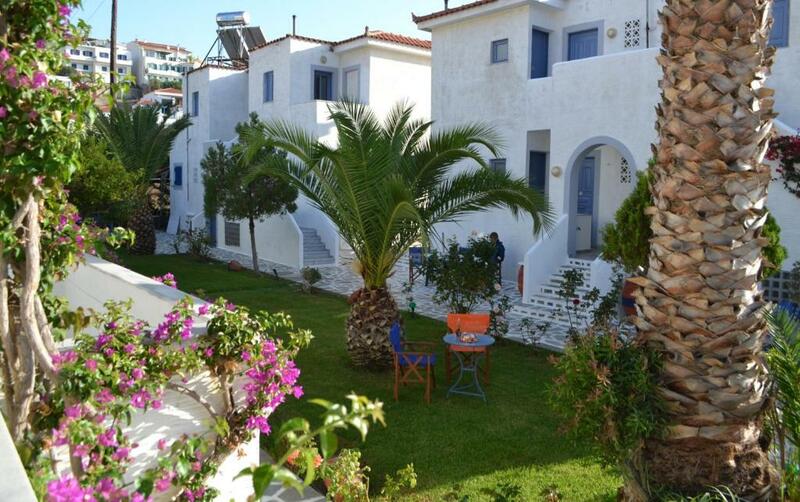 Nice quiet location, just a minute walk away from the beach and lovely village with lots of really nice tavernas and coffee houses. Excellent place for families with children. This place was very well positioned, extremely well managed and spotlessly clean. 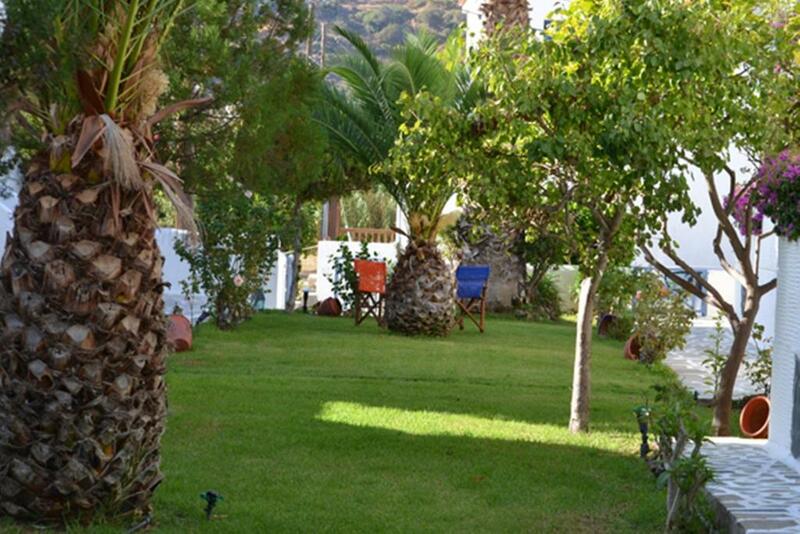 Lovely garden, a few minutes walk from the beach, shops, food and large supermarket. Our host could not have made us more welcome and we enjoyed out stay very much. We would return if ever in Andros again. 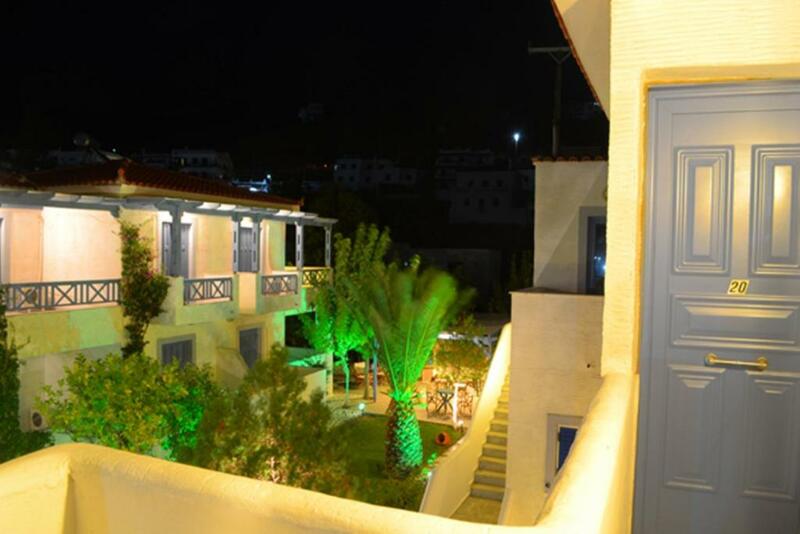 We recommend to any one looking to stay in Batsi. Great location! The rooms were clean and comfortable, by luck we had one with a large balcony. Close to the local beach and plenty of nice restaurants and bars. 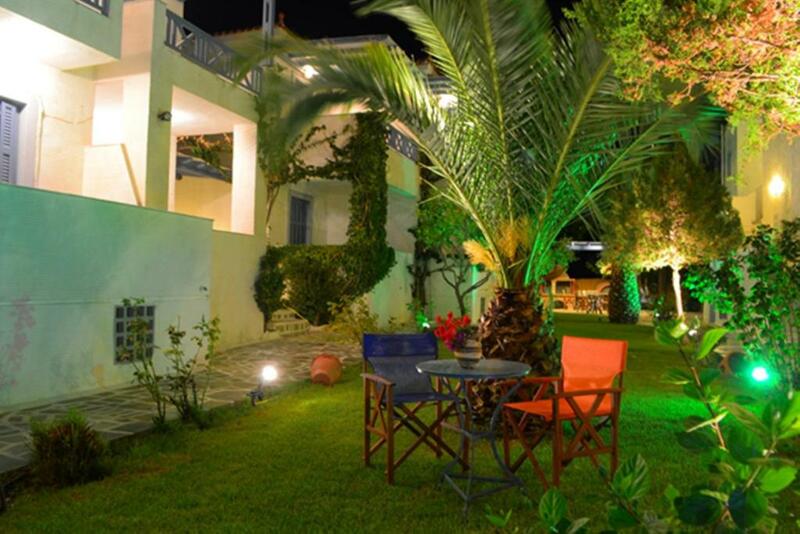 It was my third stay here and I have no doubt that when I return to Andros, I'll stay here again. I’ve stayed at Maistrali for a very short time a couple of years back, and was pleasantly surprise with an upgrade they did to their rooms. The new bed was super comfy! And the service was great — my room was cleaned every day and I was provided fresh towels and linens. The staff is super friendly and helpful. They also have a car rental service, in case you need it (I took my car from Athens, as I’ve traveled quite a bit before coming to Andros). I definitely recommend! The location is just amazing!! The staff are so helpful and friendly. Lock in a great price for Maistrali Studios – rated 9.1 by recent guests! One of our best sellers in Batsi! Enjoying a beachfront location in Batsi, these traditional, self-catering studios are surrounded by lush gardens and offer a relaxed and friendly atmosphere along with beautiful sea views. 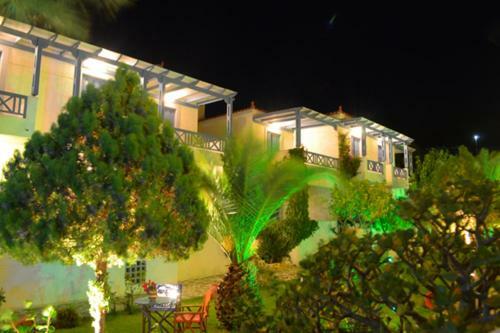 Maistrali Studios is a family-run complex located beside the golden sands of Batsi’s beach. The studios are appointed with air conditioning, a kitchenette and a bathroom. 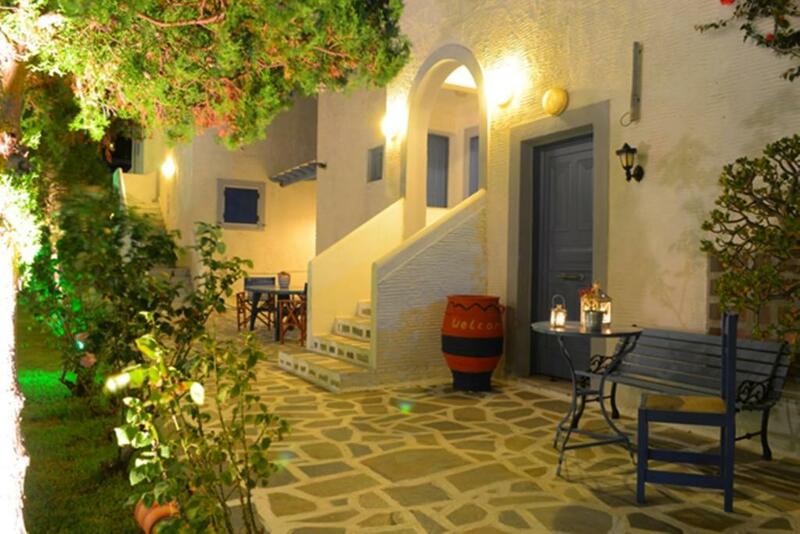 Stroll around Batsi, one of Andros Island’s most charming villages, and visit the local shops and taverns. Explore the island with a car and make use of free private parking facilities back at Maistrali Studios. This is our guests' favorite part of Batsi, according to independent reviews. This property is also rated for the best value in Batsi! Guests are getting more for their money when compared to other properties in this city. 뀐 Located in the top-rated area in Batsi, this property has an excellent location score of 9.6! When would you like to stay at Maistrali Studios? Double-bedded studio with balcony, TV and a kitchenette with fridge. Please note that the kitchenette is only suitable for light, basic meals. Features a kitchenette and big verandas. 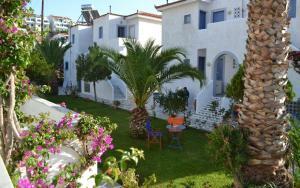 Functional and spacious studio with balcony, TV and a kitchenette with fridge. 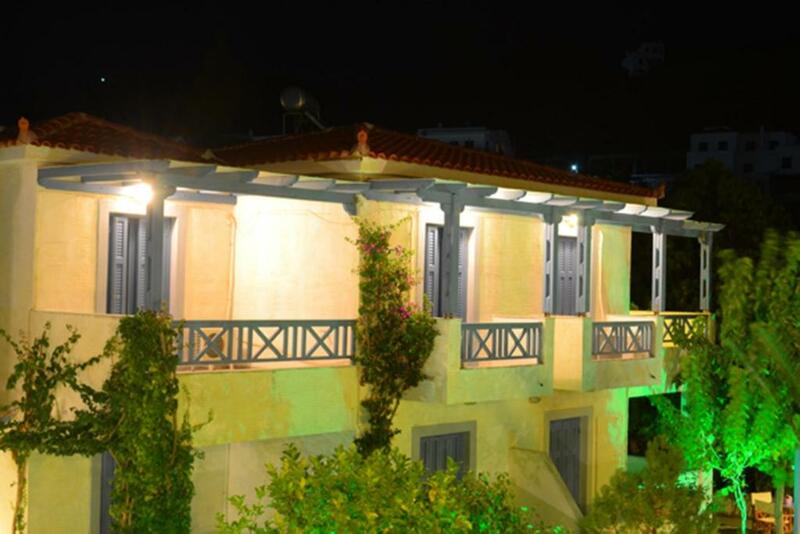 Maistrali studios is located just 50meter from Batsi beach. in few meters you can find enything. Batsi village is just in front of us. Tavernas, bakery, mini market, bars, shops. From the other hand maistrali is a very quiet family hotel because is behind the main road of Batsi village. House Rules Maistrali Studios takes special requests – add in the next step! Maistrali Studios accepts these cards and reserves the right to temporarily hold an amount prior to arrival. We were there at the end of the season and the studios close for the winter and our hosts go back to Athens. We would have stayed longer otherwise. It was quite noisy at times due to the sheer amount of families, but that's not the hotel's fault at all. The kitchen wasn't that well equipped. We like to breakfast in our apartment. Bowls plates and cutlery were in short supply. No kettle or cloths to clean the counter and sink after we had used it. 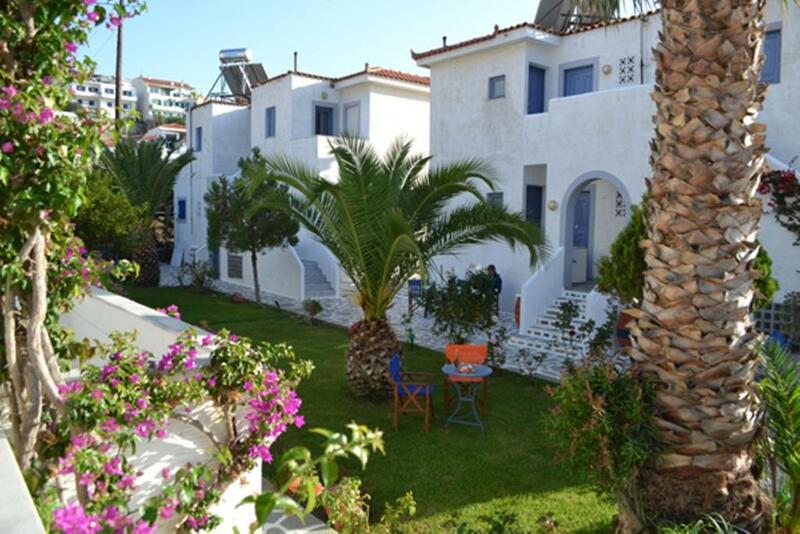 We loved the location and the easy reach to amenities and the sea.The architecture and exterior is also lovely.We were happy with the studio - larger and more balconies than expected. Great balcony and convenient location. Comfortable and clean rooms, perfect location. Very friendly and helpful owner and staff Will definitely stay there again! The internet connection was not good. We were on the far end of the property and we had no access to internet from our room. we thought from booking.com description that a two way transfer would be provided however when we contacted owner, she said this is now difficult for them to provide. We took bus there which met the ferry and cab back to port - 10 euros. Also no kettle or saucepan in room but these provided when we asked. Only garden view from our studio so note Seaview only from some rooms. Short walk to beach. Very quiet. Clean room and friendly helpful cleaner. I had a wonderful experience staying at Maistrali Studios!The room was exactly as I expected it as well as the service on all levels.The beach was a few steps if you wanted to take a quick dive or relax there all day and on foot from the studios you can be at the center of Batsi in a few minutes while doing your seaside walk.In other words I highly recommend it!Thank you for everything Litsa and Nikoleta!